5.3 Adulthood: What is it? 6.3 An Adult: What is it? 7.3 Adulthood: What is it? Dr. Dianne Ashworth qualified with honours from Deakin University Australia as a social worker in 2006. In 2013 she completed a Doctor of Philosophy degree. Devoted to Matthew, a young man who committed suicide, her thesis aimed to better understand young people’s personal development in contemporary life. Through the voices of the young people who sailed on the Western Australian Leeuwin II tall ship, her study explored their relationship between their personal development and experiences on board in light of their everyday lives. Now teaching at university and voluntarily participating in the Australian bionic eye clinical trials to help researchers develop future bionic vision (Dr Ashworth lost her sight over twenty years ago), she wishes to share her book – Sailing Tall: Young People, Their Identity Development and Communitas adapted from her thesis; a study that interestingly indicates the relevance of tradition in young people’s development in an individualised contemporary life. Dedicated to Matthew who committed suicide when he was eighteen years old, this book focuses on youth development in contemporary life. 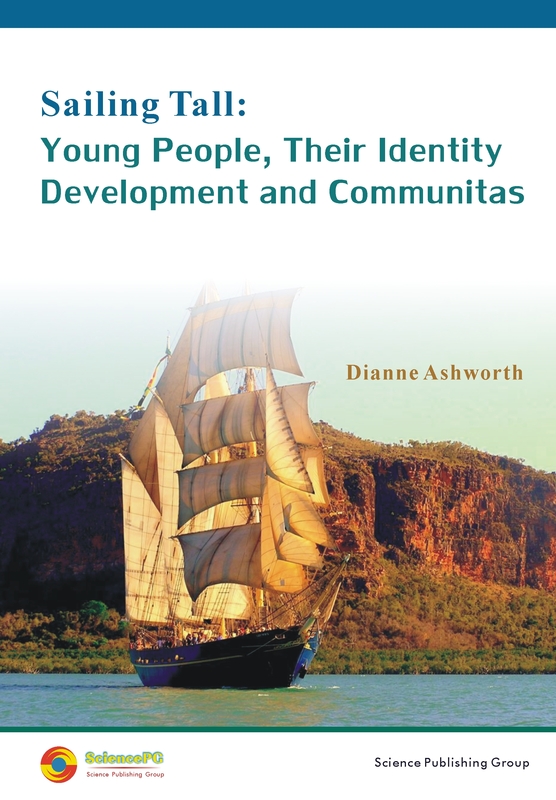 The study investigates the relationship between young people’s personal development and their participation on a tall ship called the Leeuwin II in light of their everyday lives. Through these young people’s voices, who are referred to as trainees, they describe what benefits they experience and how and why they think this occurs. While what they say is not new and in many ways mirrors outdoor adventure literature, what emerges is the relevance of communitas in their development. The first chapter sets the scene! In it I put forward my understanding of how young people develop in an individualised society, introduce outdoor adventure, the theoretical perspective and methodology. The second chapter reviews the outdoor adventure literature – its benefits and possible reasons how and why it works. Chapter Three is devoted to the theoretical perspective; expanding the relationship between young people’s agency and social structure. Chapter Four introduces the field of the Leeuwin II tall ship through the perspectives of two board members, workers and volunteers and my own experience as trainee. The following three chapters analyse the responses of the three categories of trainees – ‘Adolescents’, Post Adolescents’ and Past Trainees’. In the final chapter, Chapter Eight conclusions and future research are discussed.